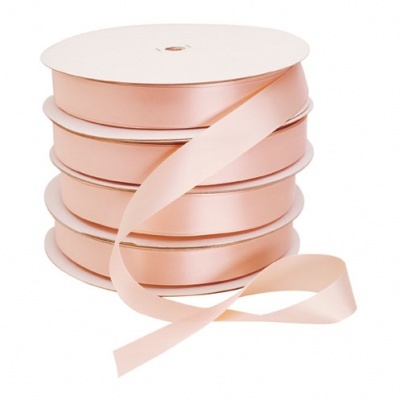 7/8 wide, single-faced satin ribbon on the roll. 1. Is this ribbon shiny or matte in appearance? This ribbon has a shiny finish to it.